Harpal develops classes for all practice levels at Yoga Evolved Studio in Goodyear, AZ, incorporating proper posture and breath while translating the teachings of Yogi Bhajan to simple daily applications. It is Harpal's goal to create a student/teacher community in the classroom and the possibility of all living a happy, healthy, holy lifestyle as fully self-integrated individuals in a changing and stressful world. Harpal began her practice of Kundalini Yoga in 2006 and completed her Level 1 Teacher Training certification in 2007 and all 5 modules of Level 2 Teacher Training by 2011. Harpal is an Associate in the Aquarian Trainer Academy. With a Bachelor of Science degree in Psychology from ASU, previous work experience focused on teaching communication, conflict resolution, and critical thinking skills and personal boundary development. I moved into my first ashram in 1972 with my future husband. A week after living there, as a newlywed, each of us was asked to begin teaching a weekly class. I have taught Kundalini Yoga and meditation since then to the general population, college students, children, people in rehab, pregnant women, at KWTC, government facilities,high schools, professional organizations, colleges, ashrams, and yoga centers. I am blessed to have been in the physical presence of Yogi Bhajan and served at his request. In another revival of Kundalini Yoga in 2013, I became a co-director of Yoga4All Tucson, teaching on a weekly basis. I have assisted and taught in our L1 Teacher Training as an intern. Sat Ardas Kaur has been practicing yoga for over 24 years. 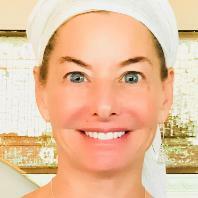 Sat Ardas is a KRI Level One Certified Instructor, Level Two Certified Practitioner of Kundalini Yoga as taught by Yogi Bhajan®, and Associate Teacher Trainer. 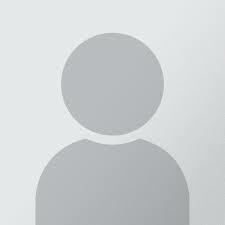 In addition, she is recognized as an Experienced Registered Yoga Teacher (E-RYT-200, RYT-500) with Yoga Alliance. As a Speech-Language Pathologist, Sat Ardas brings a unique sensitivity to serving others. 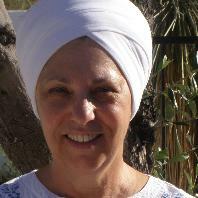 She is dedicated to growing the Kundalini Yoga community in Tucson through teaching and service. Sat Ardas has worked previously as a co-founder and manager of Yoga Grace and Rx-Yoga. She is currently the President and Co-Director of Yoga4All Tucson.